Realty Mogul is one of the largest real estate crowdfunding platforms today with over $500 million raised on its platform since its founding in October, 2012. Over 170,000 registered investors have invested in over 350 properties so far, valued at over $2 billion. They’ve returned over $100+ million to investors so far. Headquartered in Los Angeles, Realty Mogul has branched out to investment deals all across the country. For non-accredited investors and accredited investors, they have the MogulREIT I and MogulREIT II to participate in a portfolio of real estate crowdfunding deals. What’s interesting to note is that as of November 2018, Realty Mogul has not raised any additional venture capital money, yet they are still growing. This means to me that Realty Mogul has found a way to be more self-sustainable as they focus on quality, not quantity. Unlike other platforms, they are not growing at any price and are focused on the bottom line. I spoke to the CEO and she said she is focused on building a multi-decade business. Realty Mogul is her long term legacy and she is not interested in flipping the business. Her business philosophy is very much aligned with mine. Realty Mogul enables investors to participate in a wide range of real estate investments across the country, many of which are commercial deals that are often times in the 10s of millions of dollars range and traditionally out of reach for the average investor. Some deal examples include multi-family dwellings, office buildings, industrial sites, self storage, retail, medical buildings and hospitality establishments (see picture below). Realty Mogul will even enable you to participate in single-family properties that are bought for the purpose of being rehabilitated and flipped. Just about any property can be invested in, as long as it is not used as a primary home or as a secondary residence. When you invest, you typically do so by purchasing shares in a Realty Mogul limited liability company (LLC) that in turn invests into an LLC or Limited Partnership (LP) that holds title to the real property. Investing in this way minimizes overhead for the investment sponsors and provides access to more investment opportunities, as well as streamlined reporting of distributions through the platform. RM Manager, LLC, which is a wholly owned subsidiary of Realty Mogul, serves as manager of the Realty Mogul LLCs. The term of specific investments depends upon whether it is a debt or equity investment. Loan investments are generally 6-12 months, while equity investments are anywhere from three years up to 10 years. Equity investments generally pay distributions on a quarterly basis, while debt investments pay monthly. These are just general rules, and it’s important to understand the distributions on any investment are never guaranteed. 1) Pre-Vetted Investments — Less than 10% of the deals first shown on the Realty Mogul make it through to their platform for their investors. The vetting goes through the sponsors history, track record, and individual backgrounds to ensure deals have the highest chance of providing a positive return. 2) Simple Investment Process — Real estate crowdfunding is taking off largely due to its ease of investing. Realty Mogul’s platform allows investors to thoroughly analyze a deal with the research provided. An investor can view pictures, videos, and even ask the sponsors questions before making an investment. 3) More Focused Than REITs — A publicly traded REIT generally has dozens, if not hundreds of properties in its portfolio. It’s harder to invest in specific areas of the country, such as the heartland, or the east coast, or the west coast with a REIT. Real estate crowdfunding with Realty Mogul allows you to be much more surgical in your investments. 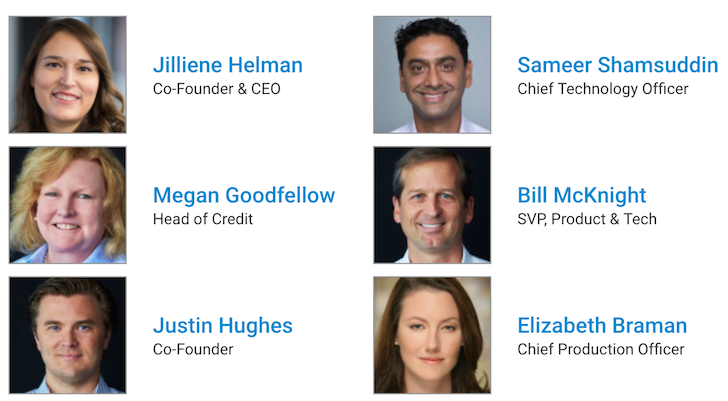 4) Low Investment Minimum – Instead of coming up with a $200,000 downpayment for a median priced San Francisco or NYC property and borrowing $1,000,000, you can invest as little as $10,000 in a property on the Realty Mogul platform to gain exposure. Realty Mogul launched MogulREIT I for non-accredited investors and accredited investors alike. The minimum amount to invest is $2,500 and the REIT will have an annual of up to 3%, which is 1% – 2% more expensive than if you were to invest in a specific deal yourself. According to their web site “MogulREIT can invest in a variety of property types, including but not limited to, multi-family, office, industrial, self-storage, retail, medical office, and hospitality. The fund can invest in various commercial real estate-related equity and debt securities across these different property types.” So it will be a pool of various property types and not just one section or location around the country. Unlike other private REITs that have long investment periods without redemptions, Realty Mogul states the will allow redemptions on a quarterly basis. Though also noted in the offering circular, they have limits on the total amount of redemptions per year. 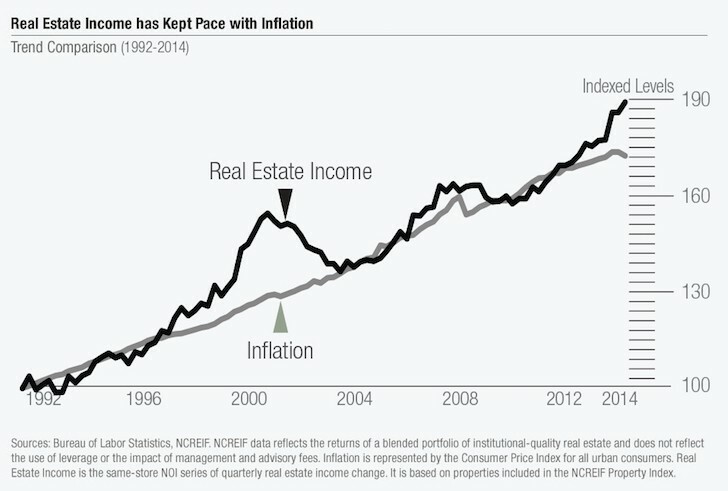 Real estate is one of the best ways to build long term wealth due to inflation, leverage, utility, and tax benefits. Unlike P2P lending, there’s actually a physical asset behind real estate crowdfunding. In case of a downturn, investors can always work something out with the sponsor. Whereas in P2P lending, the borrower can just stop paying and disappear. There will be a net migration out of Blue states into Red states as more people realize it’s a great deal living in Texas if you can get 3X as much for 1/3rd the price. As our country gets older, more retirees will move out of Blue states to stretch their retirement dollar. The remote work trend will continue due to technology and a tight labor market. Sanctuary cities are at risk of seeing their federal funding pulled and reallocated to Red cities. Income growth should be higher in Red states due to demographic shifts. Now that investing in real estate is more efficient, Red State 10%+ cap rates compared to <4% cap rates in Blue cities are too hard to ignore. The spread should narrow. A potential expansion of who can invest in real estate crowdsourcing will lead to an increase in demand and prices. The rise of real estate crowdsourcing platforms such as Realty Mogul increases the supply of capital, thereby increasing the demand and prices of previously hard to tap investments. In 2012, Sam was able to retire at the age of 34 largely due to his investments that now generate roughly $220,000 a year in passive income, partly thanks to his investments in real estate crowdfunding. He spends time playing tennis, hanging out with family, consulting for leading fintech companies and writing online to help others achieve financial freedom. FinancialSamurai.com was started in 2009 and is one of the most trusted personal finance sites today with over 1 million pageviews a month. 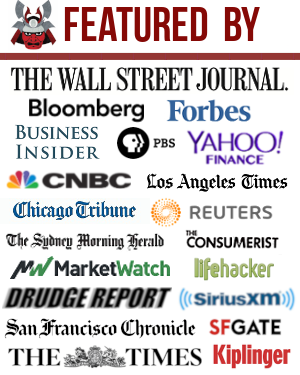 Financial Samurai has been featured in top publications such as the LA Times, The Chicago Tribune, Bloomberg and The Wall Street Journal.